I have 6 x 12v batterys in total, 2 x 20Ah and 4 x 15Ah to give a total 72v, I need advise on the best way to charge them up. Do I leave them all connected in series and put 2 x 36v chargers between each 3 sets of batterys, or will I need a 72v charger. I need the cheapest and best suggestions please. So long as there's no ground prong, which it appears from the pics there isn't on these, you can use 3x24 or 2x36 in series like you said. If balancing all the batteries is important to you, you could go 6x12v -- one charger per battery is much cheaper than powercheqs and you'll have lots of back-ups. Unless you're into wiring a series/parallel switch, you should use separate chargers for the 20ah and 15ah batteries anyways, which would mean 3x24v or 6x12v chargers. If you're discharging them in series too (like for a 72v ev or something) perhaps hook up a cheap voltmeter to the lowest rated batteries so you don't over discharge them accidentally. The only problem to buying these chargers is that I am located in the UK, the postal cost would be more than the chargers. But thanks for the advise. You need to charge the like AH batteries together if you can. You could use a 24 volt charger and a 48 volt charger to do this. If they are all in series, as long as the main power is cut while charging, you won't have to disconnect the batteries all the time to charge. The chargers will need to use a common ground though or else voltage may end up going to the wrong place. I use to have a 60 volt system that was made of (2) 24 volt NiMH and (1) 12 volt SLA. I had a charger for each NiMH pack and a simple "wall charger" for the 12 volt battery. They were all grounded, so as long as the main circuit was off, I could hook all the chargers up at once and no problems at charging every battery at once. A bunch of separate 12v chargers, one for each battery, is another option. Often you can find 12v chargers fairly inexpensively at auto supply stores. One restriction is that the chargers must have outputs that are isolated from each other. This can be tested with an ohmmeter. If the power cord has no ground (earth for you brits) pin, then there should be no problem. Having separate chargers will help keep the batteries balanced. What ah are the batteries? They are not car batteries are they? The normal chargers we use are really not that heavy. There's no place in the UK were you can buy a 12 - 48 volt charger? Have you checked with Deafscooter? Since you have a option I'd also go with the 12 volt charger, battery balance is very important. Fechter correct me if I'm wrong, but the pack is only about as strong as the weakest battery. Other can explain it better. I charged each battery up from under 5 volts to about 12 volts, plugged in the charger and it completed the charge to about 54 volts. Believe it or not, I had two vehicles that sat idle for for a long period and the batteries were down. My big car battery charger with a boost circuit wasn't charging them enough for some reason. I used the little 12V 1500ma power adapter, it took it awhile but I was able to get them up enough where they both started with the big battery charger. Unless you don't have the time to charge 12 batteries individually one at at time, you could get by with only one 12 volt charger. You'll still need to check each battery with a inexpensive volt meter of multimeter to insure all batteries are equal. You don't want to let a battery stay uncharged for very long, but after that are all fully charged, you just need to recharge them before 48 hrs, so it could be done in cycles. If your like me, more time than money, it will work to keep you rolling. Fechter has far more knowledge about this than I do, and any correction to what I said is probably the correct thing to do. 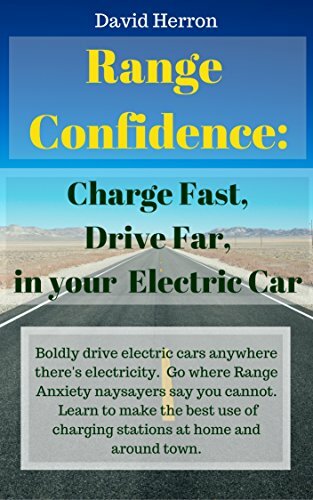 Even with 3-48 volt chargers, I still do the individual 12 volt charging as often as I can, trying to keep them as close to balance as possible. Another good resource is the Battery University http://www.batteryuniversity.com/ .